Unfortunately, it’s still unclear whether the HTC Magic will be made commercially available outside Vodafone’s markets (where it’ll be retailed as HTC-Vodafone), which is the only carrier that HTC has signed up with to date. 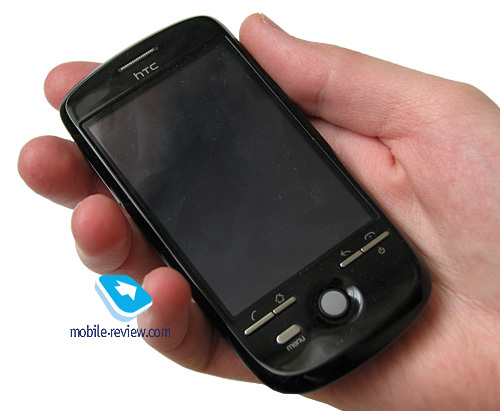 I had a chance to play around with the HTC Magic for two days, and while it wasn’t quite enough to write a thorough breakdown on it, I still managed to get a general feel for the phone’s ergonomics and core functionality. The HTC Magic boasts a very streamlined and neatly designed casing – it’s hard to say how, but HTC have actually managed to put together a stylish, yet exceedingly simplistic looking phone. I’d even say it bears some resemblance to Google’s software solutions (such as mail or any other service), boasting a very self-effacing, and at the same time user-friendly and easy-to-learn interface. The Magic’s casing is made of glossy black plastic, although it’s also got a white edition (the one that was showcased at this year’s MWC). While it’s quite a grease-magnet, the phone does a great job hiding all fingerprints (its black color scheme never looks overly smudgy, let alone the white variant), so this isn’t much of a shortcoming even. 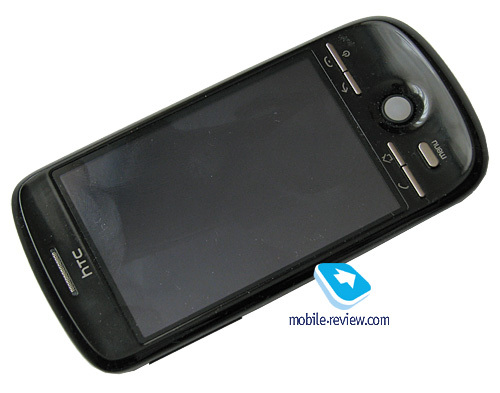 The question marks, however, remain over the HTC Magic’s durability – we’ll reserve our final judgment until we get some more hands-on time with it. 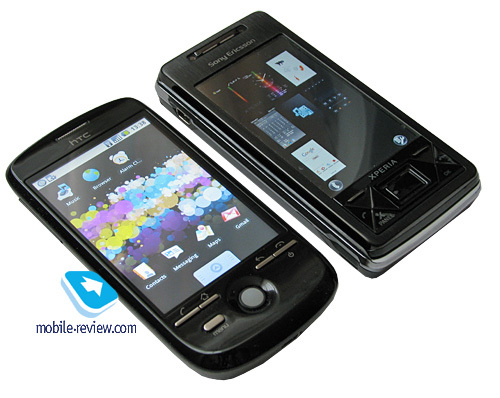 All in all, the HTC Magic is a mid-sized phone – while it’s bigger than most feature phones and smartphones, it’s not as huge as most Windows Mobile based communicators. 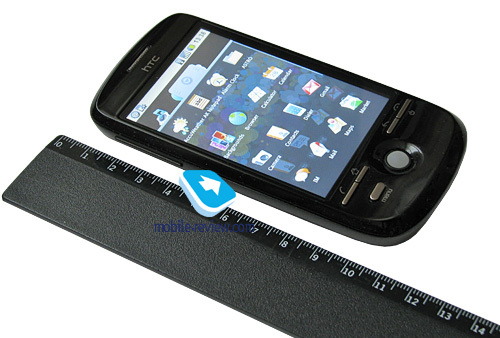 To give a better perspective on the Magic’s size, let us say that it’s not much different from the HTC Touch Diamond size-wise (by the way, HTC call it a “slim android device”). 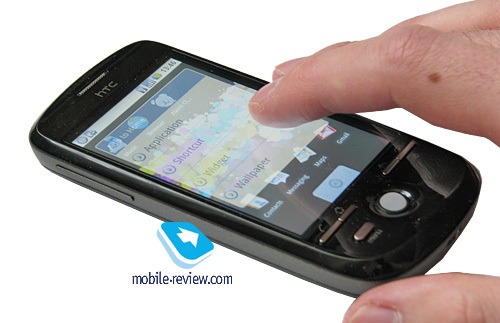 Thanks to its rounded edges and streamlined forms the HTC Magic is an extremely palm-friendly device. 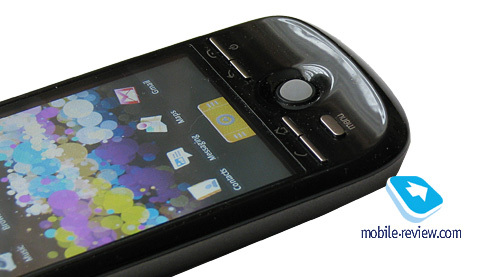 The phone’s casing plays host to 7 hardware keys and a trackball: two volume controls, four-button navigation cluster and the menu key in the lower left corner. 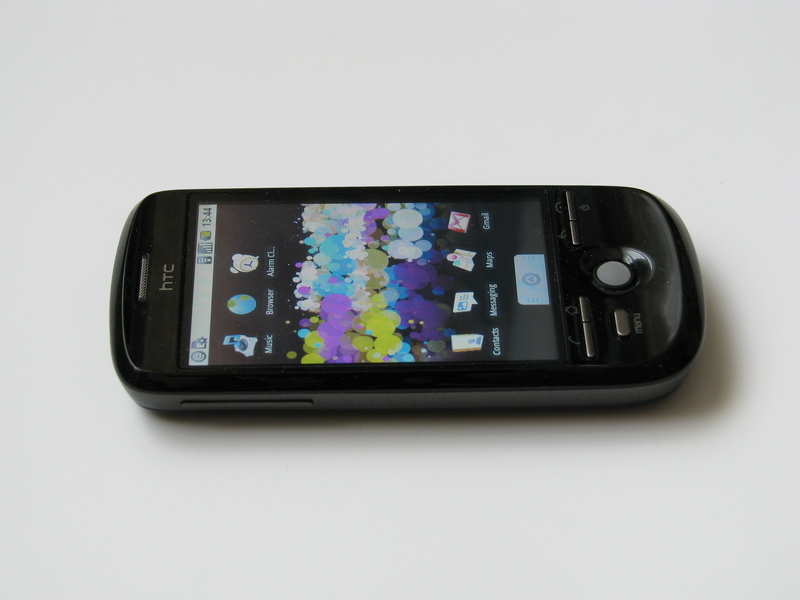 The part beneath the display is slightly curved, mimicking the design of the original Android device – the HTC Dream (also known as the T-Mobile G1). Perhaps at this point it’d be better to think of it as a distinctive feature of all Android-powered phones, plus this shape brings a number of benefits ergonomics-wise. 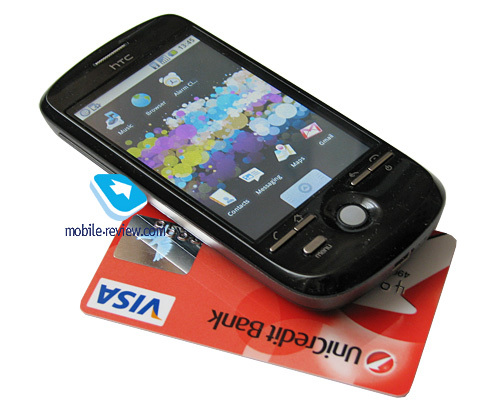 The HTC Magic is easy to operate with only one hand – that’s when the curved bottom part comes in handy, as it puts the phone’s trackball within your thumb’s reach. Speaking of which, the Magic’s trackball is made of transparent plastic, it’s reasonably small and is easy to roll in all directions. I, for one, don’t consider it a real replacement for a mechanical joystick or a five-way navigation pad. 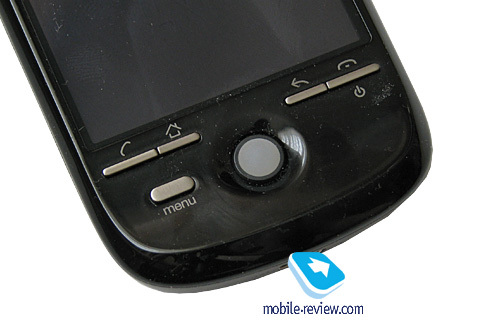 Suffice it to say that over two days of my quality time with the HTC Magic I spent around 30 minutes with the trackball and then opted not to use it ever again. Although some might find it pretty convenient, but it’ll take some time to get used to. 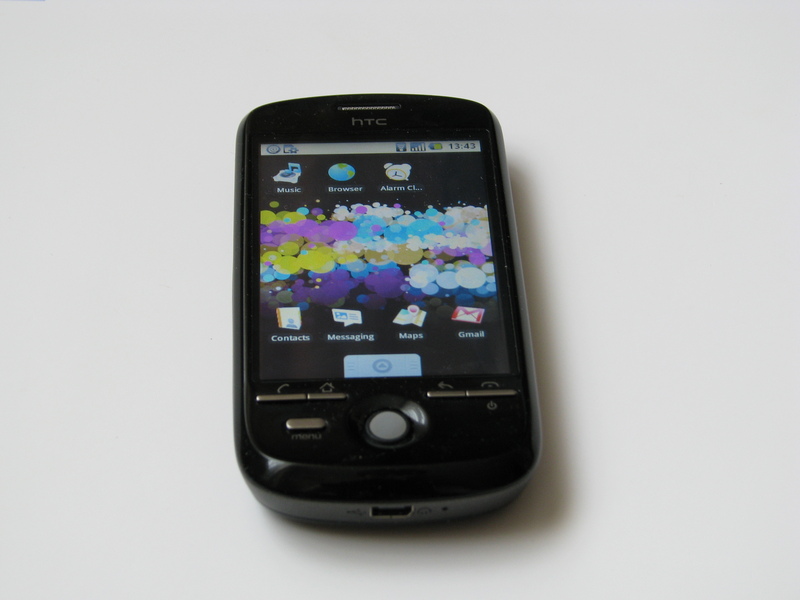 The HTC Magic doesn’t come with a stylus, since its user interface can be managed with fingers alone (as well as hardware controls). 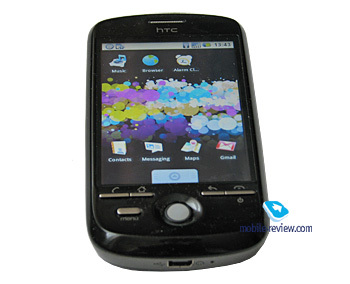 Measuring 3.2 inches from corner to corner and boasting a resolution of 320x480 pixels (HVGA), the Magic’s display is pretty decent, plus its viewing angles and colors aren’t much worse than other those of other HTC-branded solutions, such as the Touch Diamond or MAX 4G. While its resolution isn’t particularly common these day, we didn’t experience any problems with software compatibility – all apps we got from Android Market didn’t seem to have anything against the Magic’s screen. 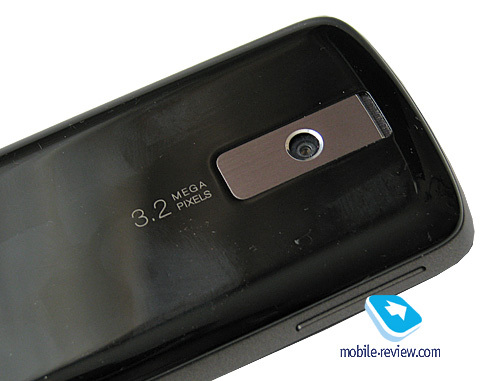 As far as picture quality is concerned, we found that while the HTC Magic’s resolution/size ratio was adequate and it produced a sharp and vibrant picture, it wasn’t as much of a revelation as the screens found in the Touch HD or MAX 4G. Among all other things, the Magic’s screen was reasonably sensitive, although I can’t comment on its multitouch functionality – at least, the unit I got my hands on didn’t have it. 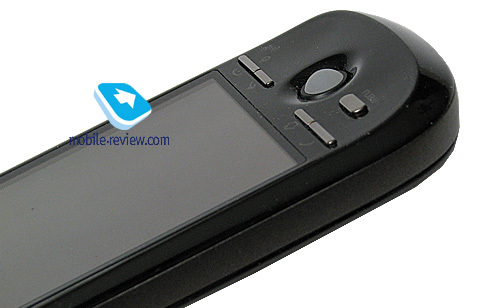 Much like most HTC’s latest and greatest devices, the Magic builds upon Qualcomm MSM 7201A platform and comes with 192 Mb of RAM, 512 Mb of bundled storage (expandable with microSD memory cards) and a 528 Mhz CPU. We were pleasantly surprised by the speed of the phone’s operating system (Google Android), that came very close to that of the Apple iPhone on this front. 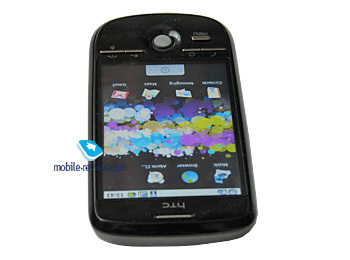 Although we can’t say it reacted to all presses in an instant, the phone was blazing fast in most applications and menus. 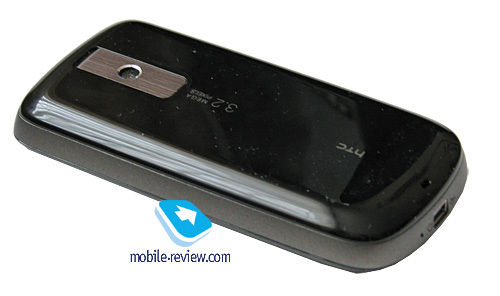 The phone comes armed with GPS, Wi-Fi and Bluetooth connectivity, as well as 3.2 MP camera with autofocus. 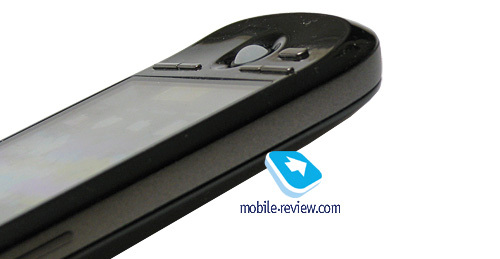 Scroll down to the end of this preview to find a complete spec sheet of the HTC Magic. Being one of those few people who haven’t had any experience with Android-based phones to date, I was very excited about this opportunity to play around with one. And to tell the truth, I didn’t have many negative moments over two days of my quality time with it. While longer usage periods might reveal some more serious drawbacks, that’s how things stand today. In my opinion, this platform will suit those users who want to start using their brand new phone without having to dig through laundry lists of settings and configurations. However the trade off is that you need to have at least some experience with Google’s services. In my case the whole process of setting up the phone looked like this – I picked up the HTC Magic early in the morning and while I was on my way to another meeting I plugged my SIM card into it, punched in GPRS settings, entered my Gmail login details and in a couple of minutes the phone had all its features up and running (including phonebook, calendar and mail). The Magic’s standard applications have some things in common with Apple’s iPhone too – in that they don’t have many settings at all and are pretty simple to setup and use. Plus it allows you to expand the default feature pack with apps downloaded straight from Android Market. 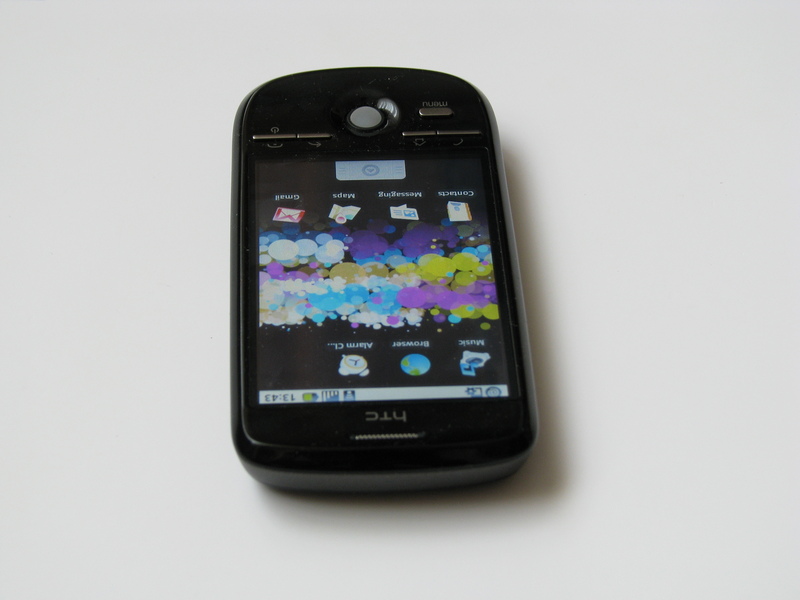 The HTC Magic turned out to be a likable phone; and while it didn’t sport any bells and whistles in the way of software or design, it still managed to leave a really good aftertaste in my mind. It picks up HTC’s Android-based portfolio where the G1 left off, although this time around it doesn’t have a QWERTY keyboard and boasts a more pocketable casing. 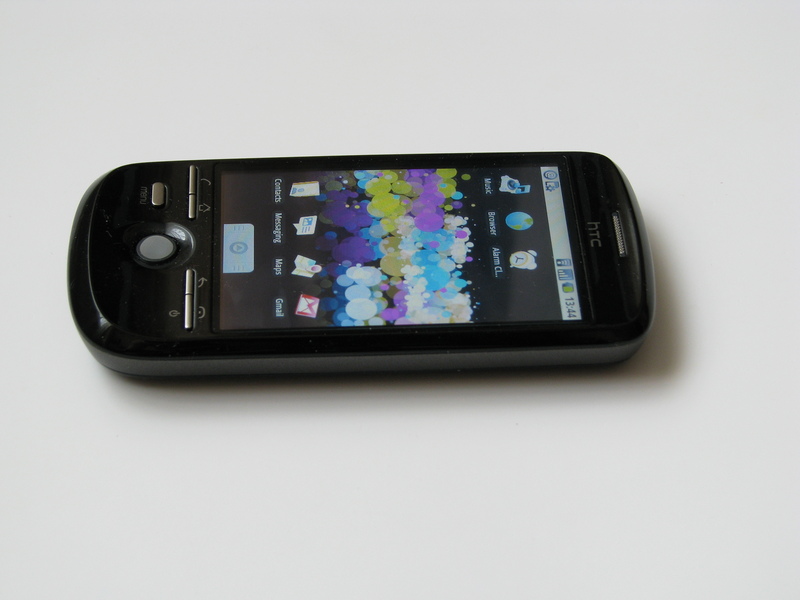 Spec-wise, the Magic is very similar to the HTC Touch Diamond, down to its camera resolution, although it packs in a different display and OS, as well as some other features (for example, it doesn’t have an ambient light sensor, but sports an e-compass). The phone downloads new applications in exactly the same fashion as the Apple iPhone, however most apps found in Android Market are free. The Magic’s trackball is next to useless here – the only applications where it doesn’t seem out of place are Google Maps and web browser. Google Android is a very well laid out OS, and quite speedy at that. The HTC Magic will appeal both to ordinary users who don’t want to spend much time in their phone’s settings menu and tech-savvy consumers. What’s more, it’s very easy to setup, and it won’t take you longer than 10 minutes to get most of its features to work (contact and mail synch, for example). 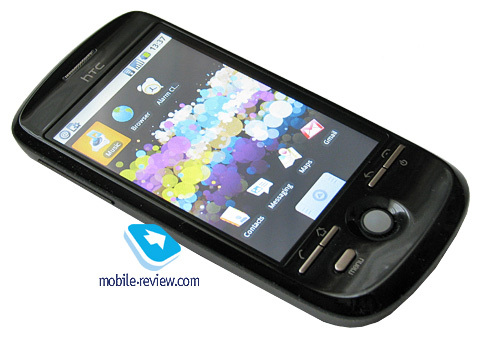 Contrary to the popular belief that Google Android still has got a long way to go, the HTC Magic seemed like a decent and user-friendly phone. All in all, it’s worth looking forward to.